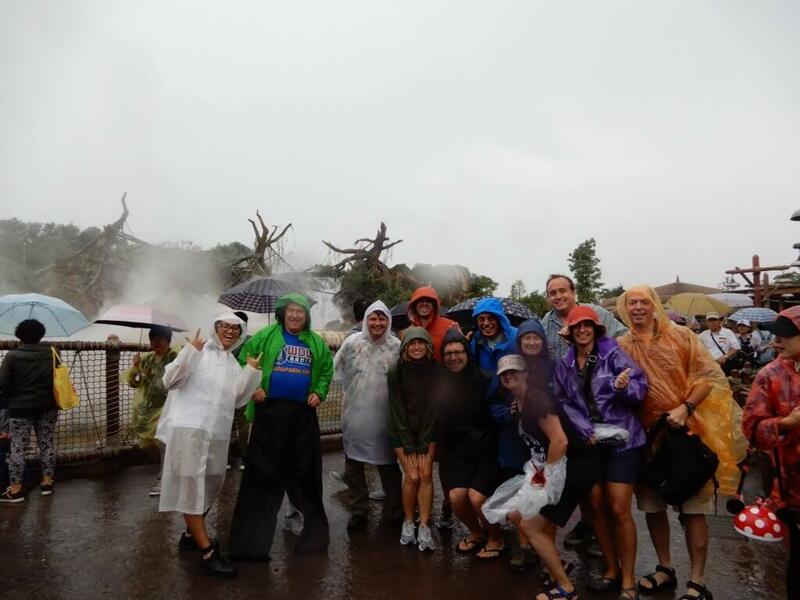 We recently got back from our first Adventures by Disney trip, one that took us to Hong Kong, Beijing, and Shanghai – with lots of time in the two Chinese Disney parks. 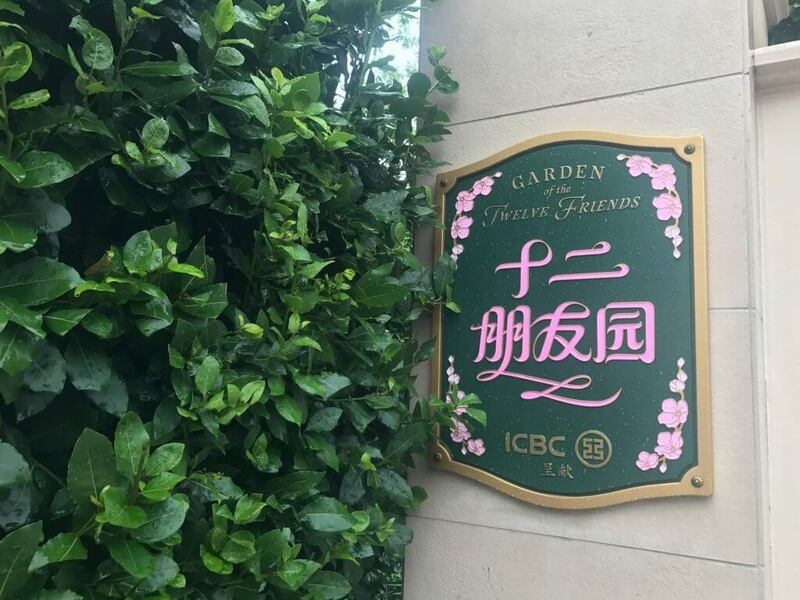 Each city was unique, and both parks gave us plenty of reasons to go back, but the attractions in Shanghai definitely shone. 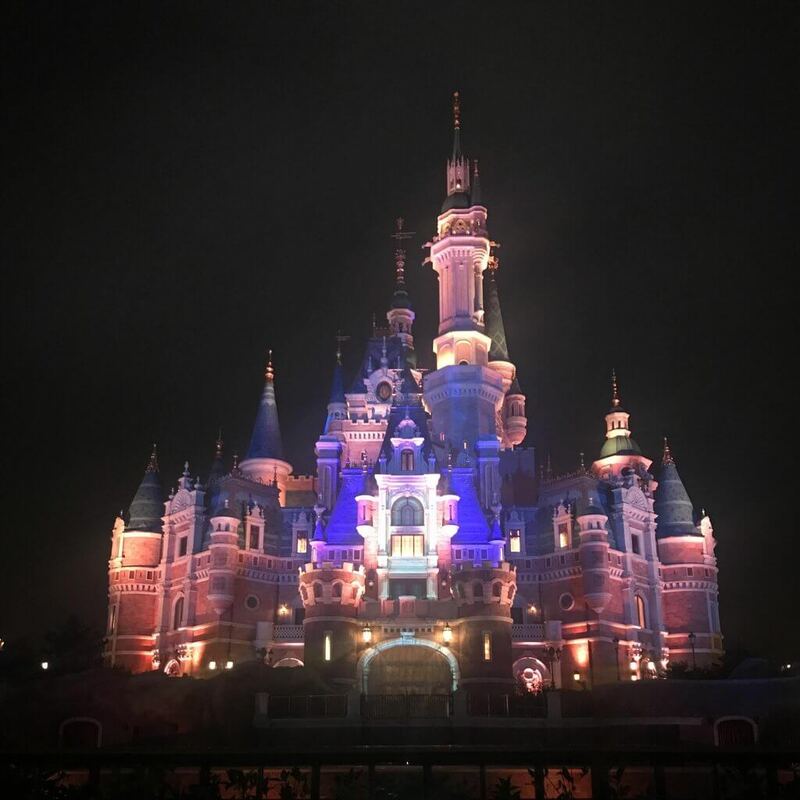 Here are some of our favorite Shanghai Disneyland rides, and attractions that are not to be missed if you find yourself on the other side of the world any time soon! There’s truly no other way to start this list than with the Shanghai Disneyland incarnation of Pirates of the Caribbean. Unfortunately, there are also no words with which I can even begin to do the ride justice. 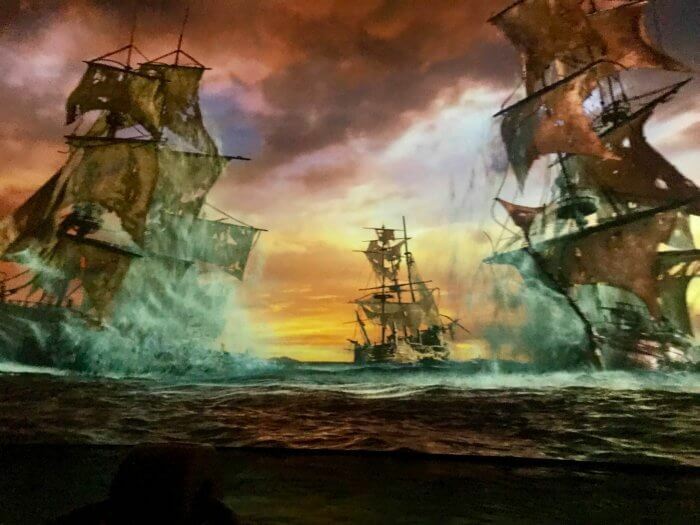 Located in the Treasure Cove section of the park, Pirates of the Caribbean Battle for the Sunken Treasure starts out looking a bit like other Pirates attractions you may have experienced… but only for a minute or two. As you journey into caverns in search of a legendary treasure, things don’t go as planned. Because where would the fun be in that? Instead, your ship sinks, the Kraken gets mad, Davy Jones’ loyal crew members threaten, and eventually you run into Jones himself – who is also interested in the booty. Battle ensues and surprises await… especially if you experience the ride more than once. Oh, one little thing… All of this is in Mandarin, but it doesn’t even matter. The Imagineers have done an incredible job of telling the story; so while you may miss out on snarky one-liners from Jack or get distracted by old tentacle-beard speaking an unexpected language, you won’t be totally lost. And the technology – ohhhh, the technology – is unlike anything that’s ever been built. Anywhere. If you’ve watched it on youtube (you shouldn’t by the way, if you plan to experience it in person…), just know even the best video doesn’t come close to adequately portraying the movement of the boat, the effect of the screens (6, each one of which is more than twice as large as the screens on Soarin’), or the size and scope of the scenes. Guests of all ages can enjoy this one together, since there’s no height restriction. And somehow (likely, per an imagineer who gave us a tour, because the people of China don’t yet equate buildings with attractions… super interesting!) the line was never more than 30 minutes long while we were there. 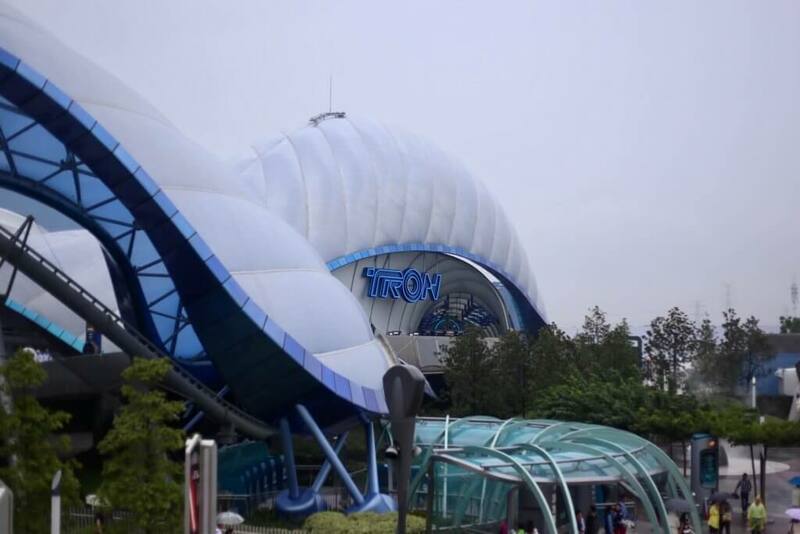 One of the most-anticipated Shanghai Disneyland attractions for our group, the Tron Lightcycle Power Run didn’t disappoint. The first night we checked into our hotel and could see it across the lake, it looked even more electrifying in person than it had in photos. It is without a doubt the focal point of Tomorrowland, and serves as a beautiful “weenie” for the land. All of the neon throughout matches or complements the attraction, and the whole place looks exactly how I would envision a place called “Tomorrowland”. If you’ve ridden Flight of Passage in Disney’s Animal Kingdom, I’m told the ride vehicle is in many ways similar. There are no buckles or harnesses to speak of, yet it feels completely secure. And aesthetically, it’s one of the sleekest things I’ve ever seen. We all looked ridiculously cool on our lightcycles, if I do say so myself. My only complaint, echoed by many in our group, is that it’s too short. You go “on the grid” as you race Programs to capture energy gates; video projections, lights, 3D graphics, and a great soundtrack make it absolutely thrilling, for just about 2 minutes. And then it’s done, and you have to leave. Without your lightcycle. No, I’m not still sad. 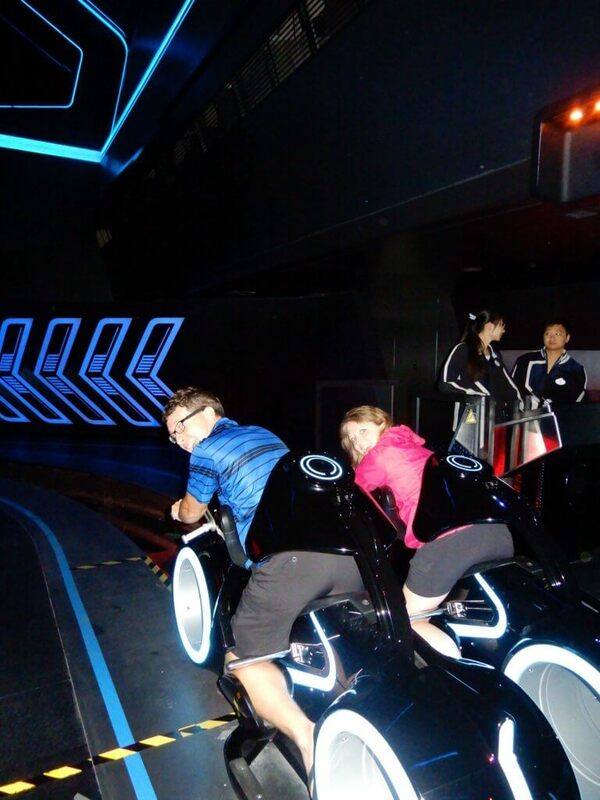 Guests have to be 122cm (48 in) to ride Tron Lightcycle Power Run. If you enjoy the nighttime shows at the domestic Disney Parks as much as I do, you will love “Ignite the Dream”! Enchanted Storybook Castle comes to life with incredible projections, lasers, fireworks, and fountains. While there’s not as much of a story as you may find in Fantasmic, for example, it’s super cute. Mickey stumbles upon a magical spark of imagination, and soars through several iconic scenes from your favorite Disney and Pixar movies. 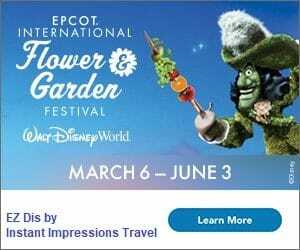 The show includes scenes and music from Cinderella, The Lion King, The Little Mermaid, Finding Nemo, Pirates of the Caribbean, Aladdin, Mulan, Up, Star Wars, Frozen, The Princess and the Frog, Cars, Toy Story, Zootopia, Monsters Inc, Tangled, and Big Hero 6! 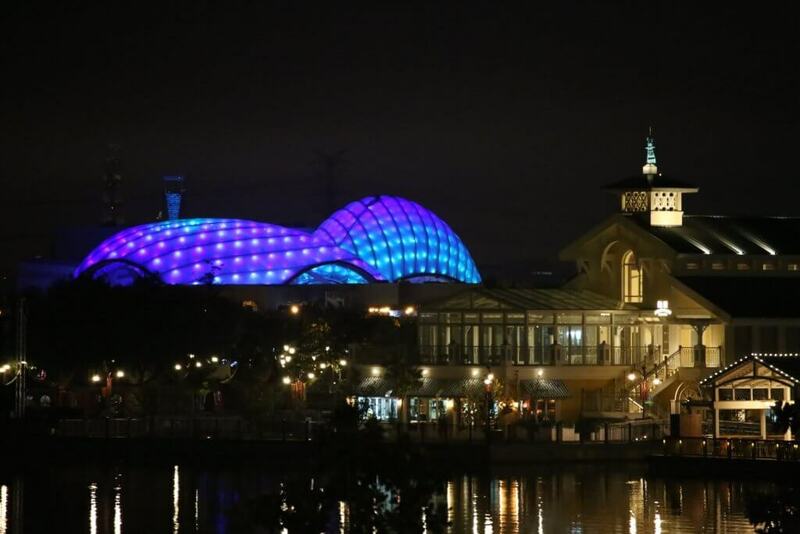 Ignite the Dream – A Nighttime Spectacular of Magic and Light takes place nearly every night. The weather was pretty awful while we were there, so we did see “A” and “B” versions, but both were great. With the castle being elevated and relatively far away from any “hub” area, there are so many great places from which to watch. The first night, we got to see it from what literally equates to the front row. Check out the video below! Boy, would it have been nice to know that little story before we saw it. 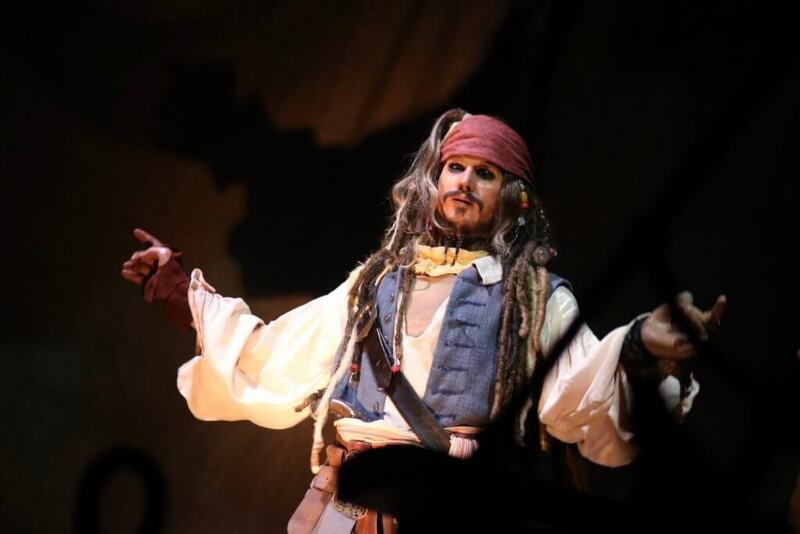 The entire pre-show and show were in Mandarin, so the only three words that we recognized were “Jack” “Sparrow” and “Yo Ho”. Ok, so maybe that’s technically four words? Not much better. Despite it taking us about 2/3 of the way through the show to figure out what was happening, it was insanely cool. The stunts – complete with a duel in a wind tunnel – were captivating. The story is made even more impressive when you know the backstory for Treasure Cove… but that will have to wait for another day. 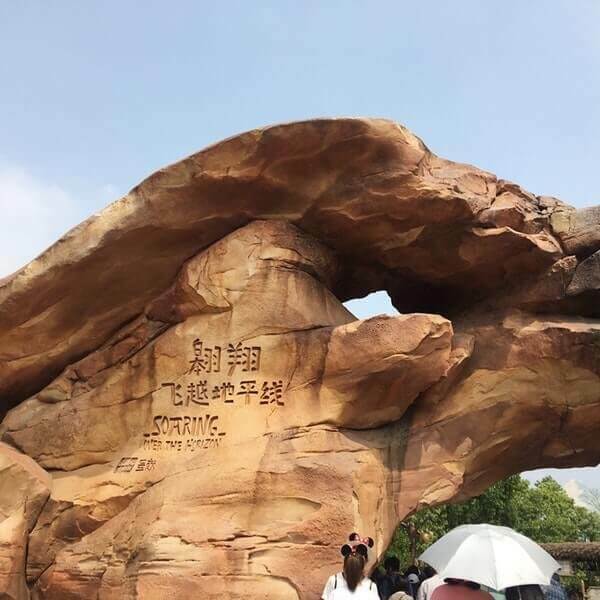 When Iger and the Shanghai Disneyland team were creating this incredible park, one of the concepts that drove development was the idea that it would be “Authentically Disney and Distinctly Chinese”. Rather than just plunking down a Disney park in China, Shanghai would truly represent the people of China. One place where this is most evident is in the Garden of the Twelve Friends. 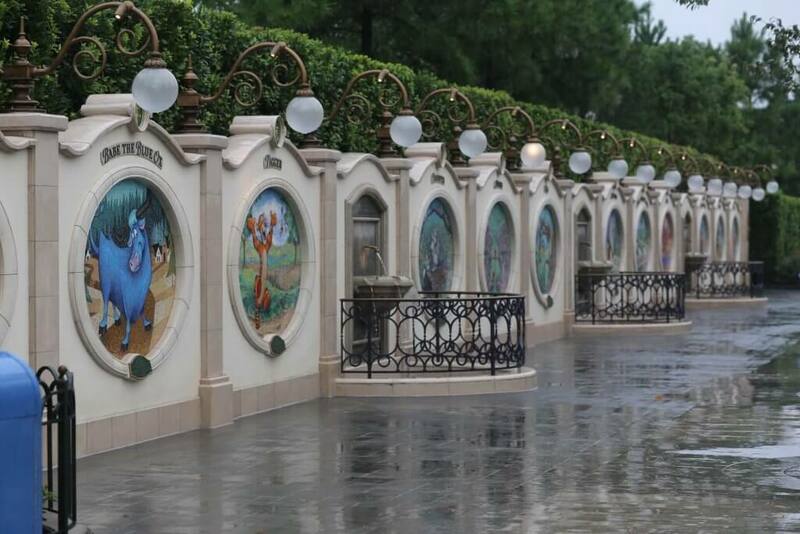 More a peaceful stroll off the beaten path than a garden, this walkway is lined with twelve Disney characters representing the twelve animals of the Chinese Zodiac. 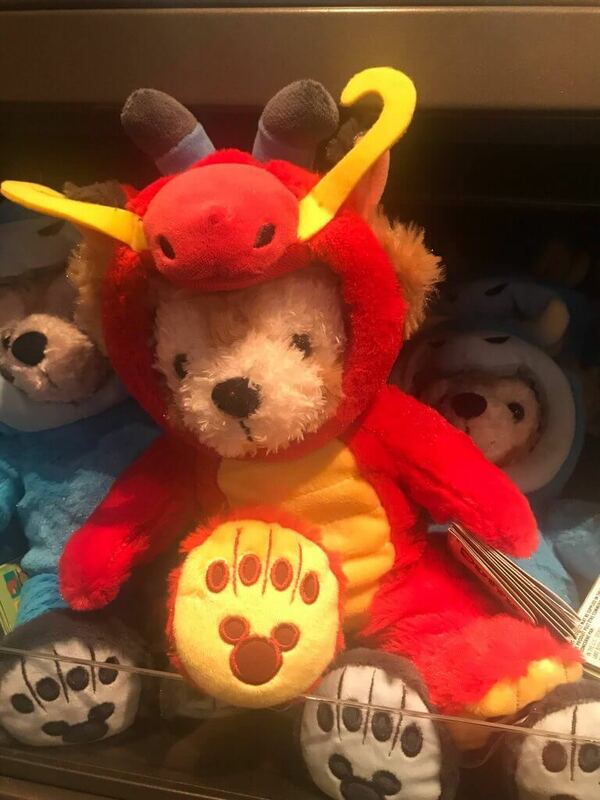 Remy, Babe, Tigger, Thumper, Mushu, Kaa, Maximus, the Jolly Holiday Sheep, Abu, Alan-a-Dale, Pluto, and Hamm stand tall representing their respective years; you can even find the cutest Duffy plush dressed as each of those characters in a nearby shop. 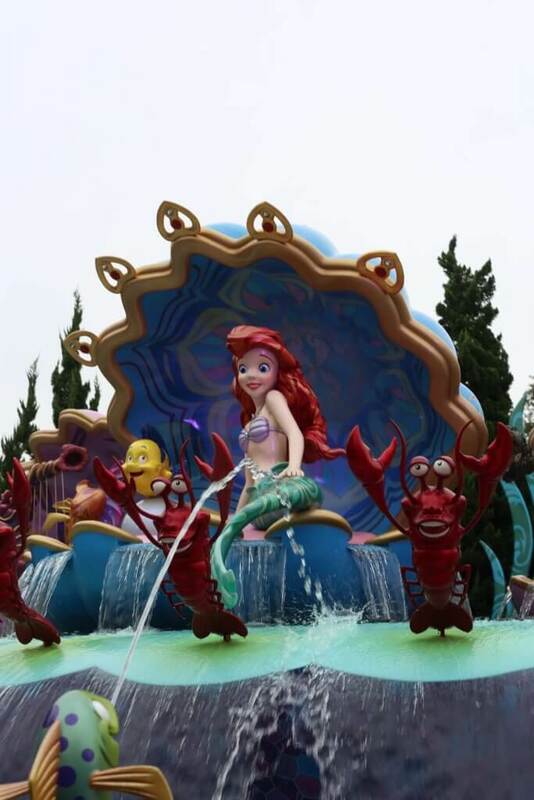 During Chinese New Year festivities, a big deal at Shanghai Disneyland, they truly play up the celebration of the corresponding character. I can’t wait to follow along next time! 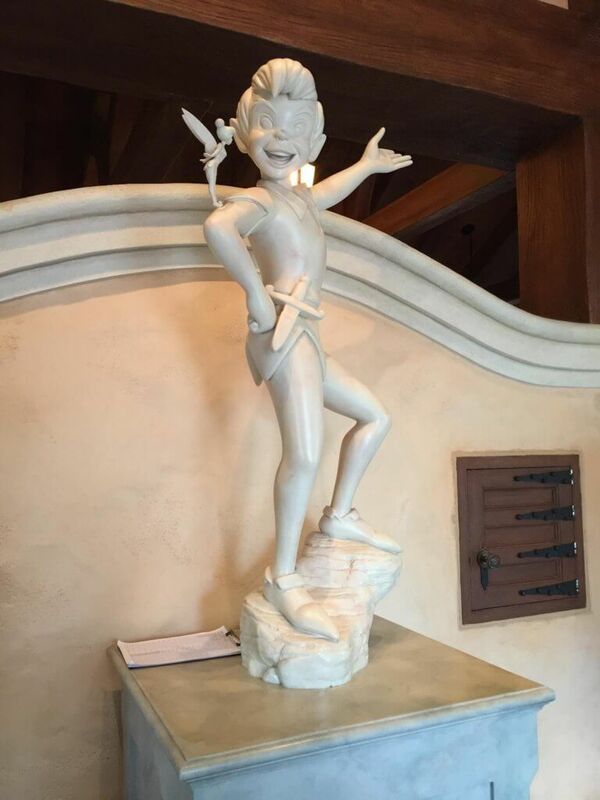 It’s no secret that Peter Pan’s Flight is one of the most popular attractions in both Walt Disney World’s Magic Kingdom and Disneyland Park. Though I’ll never quite understand why (she says, as she keeps an eye out for flying tomatoes…), it’s impossible to deny. Just look at the consistently outrageous wait times. The version of Peter Pan’s Flight in Shanghai Disneyland, I can get on board with. At a glance, it’s very similar. Guests board a flying pirate ship and journey through the story of Peter Pan – from the Darlings’ window to Neverland, through a pirate duel and a rescue. Instead of flying above the scenes looking down below, however, there’s a bit more variety. 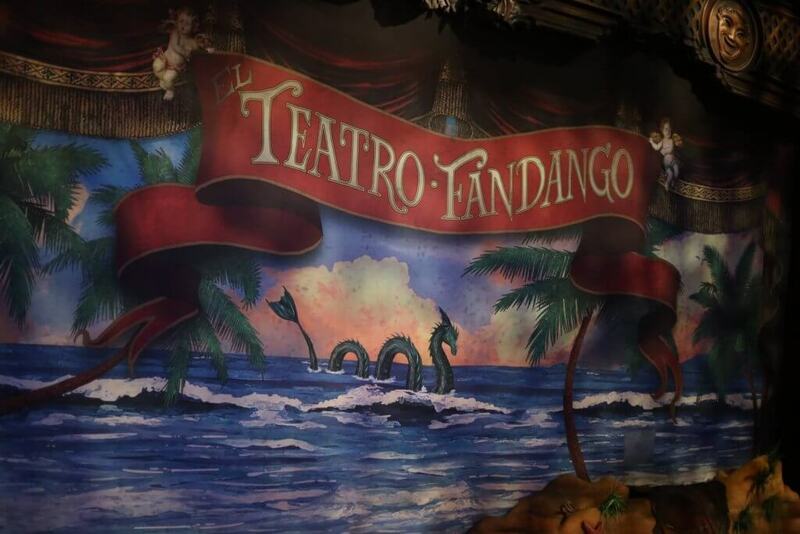 At first you begin flying over London and then Mermaid Lagoon, but as Pan, Wendy, Michael, and John begin to engage in Neverland, your flying ship lowers just enough to become immersed in the world. Additionally, there’s a really effective use of projection technology and some updated lighting features; those seemingly small changes make all the difference in the world. It’s an outstanding attraction, and worth seeing even if you already “know the ride”. 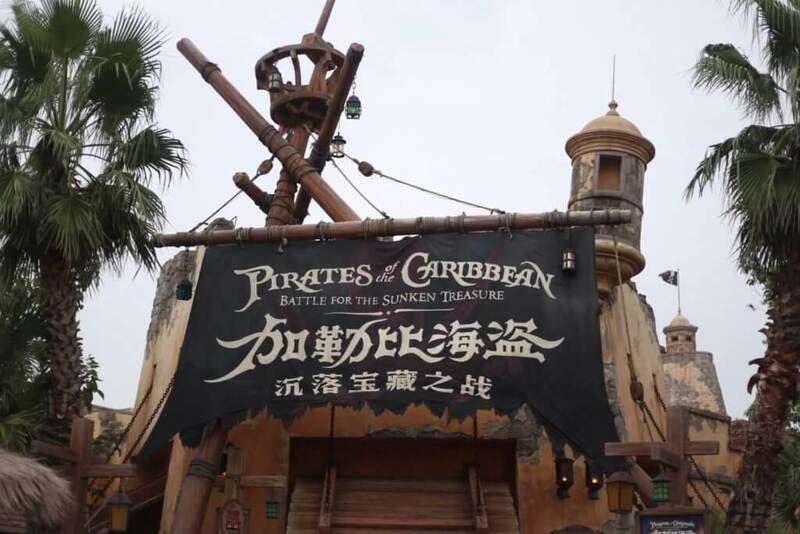 Just as I struggled to describe the Shanghai Disneyland Pirates of the Caribbean ride, I know I’ll struggle with this one, too. This time, though, it’s not because the attraction is epic and cutting edge. Instead, Voyage to the Crystal Grotto is sort of a hybrid between the Jungle Cruise and Disneyland’s Storybook Canal Boats… if the Storybook Canal Boats were made 60 years later. Guests begin by boarding a boat that is very reminiscent of a Jungle Cruise boat, only a lot more vibrant and whimsical. After a quick welcome, the “skipper” is quiet, allowing the attraction to speak for itself. 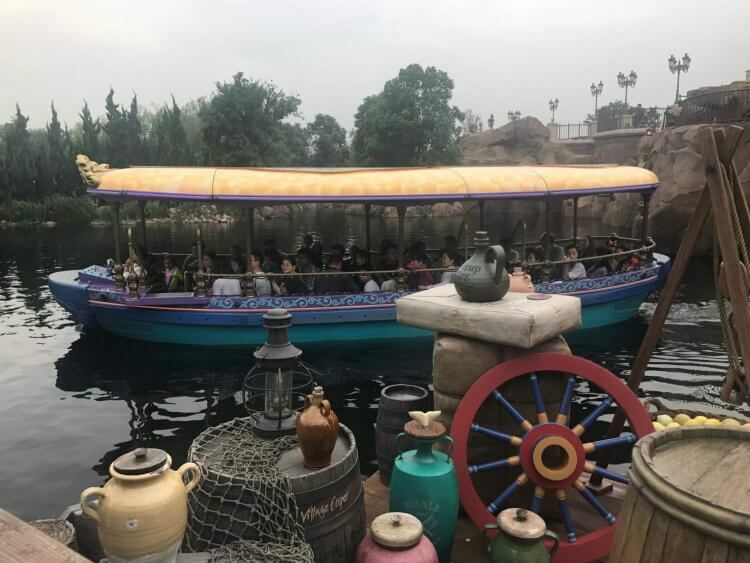 Boats take guests past vignettes of familiar scenes from beloved animated movies, including Beauty and the Beast, Aladdin, The Sorcerer’s Apprentice, Tangled, Mulan, and The Little Mermaid. The scenes utilize music, audio animatronics, lights, and even dancing fountains to tell the stories, and the result is truly delightful. At the end of the ride, boats make their way through a glowing, magical cavern – home to a giant crystal. Along the walls of the cavern, you see some of those same scenes come to life in lights dancing on the wall. 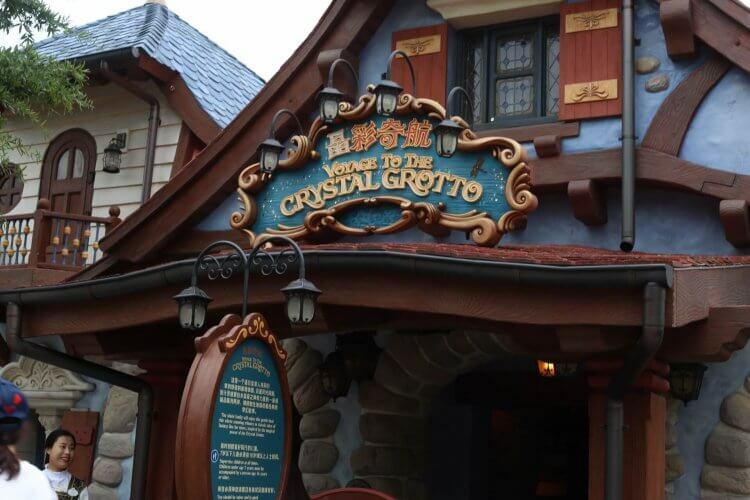 And directly above that crystal is the center of the castle – yes, the boat ride goes under the gorgeous Enchanted Storybook Castle – adorned with a matching, smaller crystal. Legend has it, it is these crystals that power all of our magic and imagination. I was truly surprised how much I enjoyed this little gem (no pun intended). I couldn’t stop smiling any of the three times we rode it! Last but not least, the final spot on the list goes to Roaring Rapids. Considering I was absolutely freezing (and usually already wet) during our entire time in Shanghai, I personally opted out of this one. It’s been described to me though as “a more adventurous Kali River Rapids [at Disney’s Animal Kingdom]” and “what you’d expect if a raft ride and Expedition Everest [also at Disney’s Animal Kingdom] had a baby”. 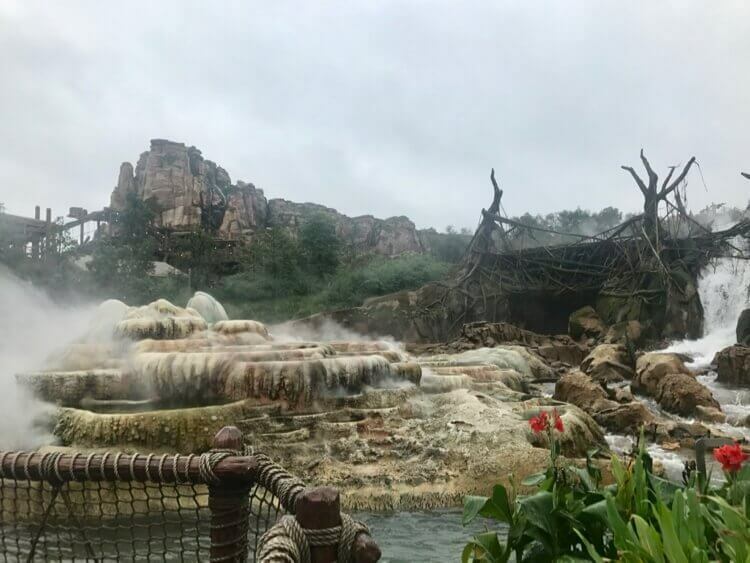 Guests board a round raft much like those in Kali River Rapids or Grizzly River Run (in Florida and California parks, respectively), and journey through “Roaring Mountain” – named for the terrifying sounds local natives hear coming from it. It is believed that a crocodile-beast lives in the caverns, but it has never yet been confirmed. Or has it…? No list would be complete without a couple of honorable mentions! In both Shanghai and Hong Kong, we noticed that showmanship is a big deal and nearly everything is treated as art. 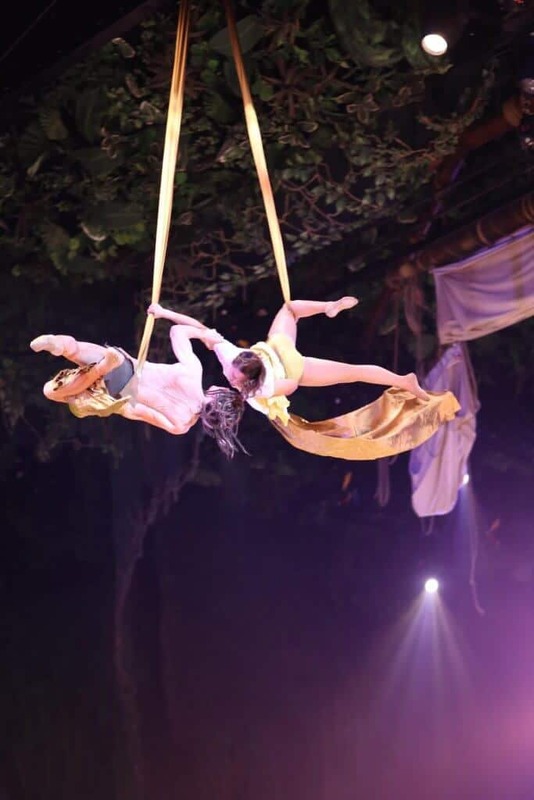 It remains true with Tarzan: Call of the Jungle, a spectacular, acrobatic stage show in Adventure Isle. If you see just one show, I suggest Captain Jack’s Stunt Show, for the reasons mentioned above (and because Tarzan, while stunning, is a little less unique). If you see two, this should definitely be your second. If you haven’t experienced a Soarin’ ride before, this one moves way up the list. 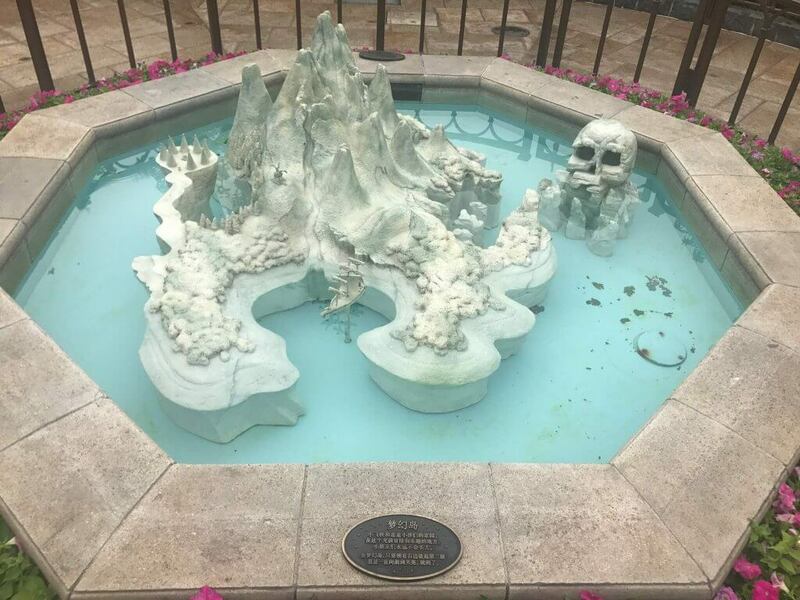 Similarly, if you’re just intrigued at how they managed to fit it into Adventure Isle, it may be worth a ride. Guests 40″ or taller may ride, and a Fastpass is highly recommended for this attraction. 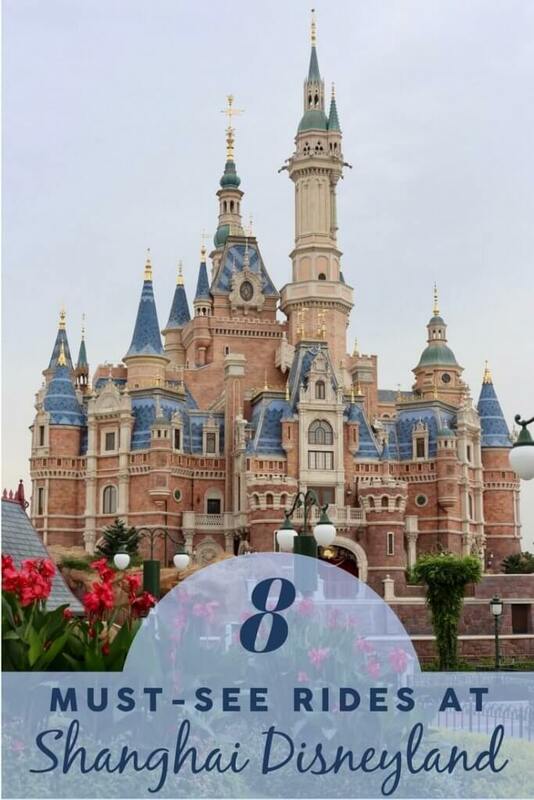 Have you ever thought about going to Shanghai Disneyland? What rides would you be most excited about?